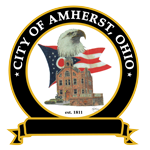 Design Review Board meetings are held at 206 South Main Street, Amherst, Ohio in Council Chambers on the last Wednesday of every month at 6:00 pm. The Design Review Board was created to protect and preserve the distinctive historic and design characteristics of commercial structures within the Downtown Historical District. 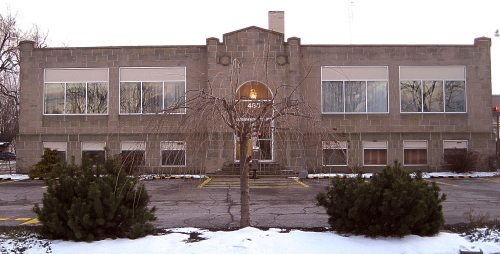 The purpose of the Design Review Board is to preserve and maintain the distinctive historical and design character of the community which has been greatly influenced by the architecture of an earlier period in our community’s history through the use of Design Review Guidelines based upon the United States Secretary of the Interior’s Standards for the Treatment of Historic Properties. The Downtown Historical District is generally bounded by Cleveland Avenue and Washington Street west to Beaver Court, Beaver Court east to South Main Street, South Main Street south to Franklin Avenue, Franklin Avenue east to Church Street, Church Street northto Tenney Avenue, Tenney Avenue east to Spring Street, Spring Street north to Park Avenue, Park Avenue west to Forest Street, Forest Street north to Cleveland Avenue (not inclusive of the Board of Education Administrative Offices). The Design Review Board meets the third Thursday of each month at 5:30 pm. Applicants are required to submit a fully completed application package to the Building Department a minimum of ten (10) days prior to the scheduled meeting in order to be placed on the meeting agenda. There is a $20.00 non-refundable application fee that must be submitted with the completed application. Applicants, or their authorized agent, are required to attend the meeting and will receive a meeting agenda prior to the scheduled meeting date. *Issuance of a Certificate of Appropriateness by the Design Review Board is not an approval to begin a project without obtaining permits (if required) through the Building Department. Please contact the Building Department if you have questions regarding permit requirements.